Let me first say this blog is written from the perspective of an extrovert with an extreme respect for those who are more introverted. I heard a young lady in my field give a short speech last week about how she was trying to become an extrovert and somewhere deep inside of her lived an extrovert. My heart hurt, because it was obvious somewhere down the line she must have been told that being an introvert was a bad thing or would hurt her business in some way. I think when some people hear the word introvert they picture someone standing all alone in a corner with no friends. Some people have tended in the past to paint introversion as an identical twin with social awkwardness. These depictions could not be farther from the truth. Introversion has no impact on your ability to be socially engaging, speak in front of people or be successful in your career. My wife is an introvert and stands in front of a class of teenagers daily and teaches them English and coaches Cheerleading. She is an animated storyteller and most people who know her casually assume she is an extrovert. I know her and I know a few things about her that make her the true definition of an introvert. a.) Introverts are able to be around large groups of people and be social but when those moments are over they are completely exhausted. b.) Introverts need to recharge and refresh alone after being in long periods of social interaction where extroverts tend to recharge by being WITH people. c.) Introverts tend to allow a smaller group of people into their inner circle and to really know them. They are more discerning and choosy about who gets to really know them. d.) Introverts tend to be better at soul care because they have to recharge in solitude for their sanity. e.) Introverts help extroverts create healthier boundaries for social interaction and teach them the benefits of solitude and resting your mind and spirit. f.) Introverts hold all types of jobs with all levels of success. Do not buy into the lie that Extraversion=Success. g.) Introverts are typically deep thinkers. All this to say, if you are introverted embrace it. You do not have to be extroverted to be successful. The key is not to be someone else but be the healthiest version of who you are. If we will take the time to learn from those who aren’t like us, that is the moment when the most growth can happen. Over the last several months I feel the Holy Spirit has whispered to me a few times that I need to open myself up again to doing more speaking. 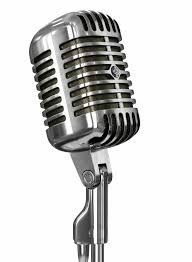 Being a speaker was a dream of mine from years ago, but it was always something I talked myself out of or believed I was not gifted enough to do or was told everyone wanted to be a speaker that was in ministry, but it wasn’t for everyone. I remember sitting at the National Youth Workers Convention year after year and dreaming of the day I would get my shot. Earlier this spring I got a chance to speak at an event called Twelve for the youth at my church Cross Timbers Church in Argyle (www.crosstimberschurch.org) and that gave me a new passion for speaking again. I used to speak at quite a few events but always limited by my commitment to the local group I was currently pastoring. Fast forward to last week as I am doing a self-paced social media training called Side Hustle Social Academy put out by former Olympic Gymnast Shawn Johnson East and her Husband, NFL player Andrew East and others. In that training we were asked to write down things on notecards we were good at and thought were marketable but we were not taking full advantage of in our life or business. I wrote down speaking and writing. This week I attended a phenomenal entreprenuers’ conference called Habitude Warrior Conference in Southlake. At this conference they offered the opportunity for people attending the conference to come early the second day if they were aspiring speakers. They would get the opportunity to be coached by the weekend speakers, and perform a 1 minute motivational talk in front of those same professional speakers as judges. From there the judges would pick three speakers who would get the opportunity to speak at the conference in front of all the weekend participants and deliver a 2 minute talk. Based on the applause of the audience one of those three aspiring speakers would win the challenge and get the opportunity to speak at a future Habitude Warrior Conference in another city as a regular speaker as well as other things to help launch their speaking career. I tried to get the competition out of my head. Fear told me I shouldn’t do it. I looked at my weekend schedule and decided it wasn’t possible. At the same time, I could not shake the feeling that this was my opportunity and that I would be mad at myself if I skipped it. I decided with the help of my wife and a few friends to do it. I was nervous, I barely slept the night before the 1 minute talk in front of the speakers and the other participants in the contest. I was so nervous that on the way to the hotel the morning of the event while rehearsing my speech in the car I drove the total opposite direction that I should have taken to the hotel. This only added to the stress of the moment. To make a long story short, 21+ people showed up to try to win this competition and I was blessed enough to be one of the three finalist. The feedback and support I received from the other speakers was life changing for me. I ended up not being the final winner by what I see as a small margin, but I think it put a fire in my soul to speak again. The opportunity to speak at this incredible event for the live and internet audience reminded me that when we have a talent that God intends us to use it. So what does this mean? Real Estate is my career but I am opening myself up to receiving opportunities to speak again. Motivational speeches, sermons, youth groups, schools, business events, camps, sports events, book signings, author events, entrepreneur meetings, conferences, real estate training classes or anything else you can dream up that I would be a fit for. I am not sure what God wants in all this only that I cannot ignore these three recent whispers. If you are interested in how to book me to speak, purchasing my books or more info please head over to www.darrellhalk.com. Last Wednesday I did something that surprised me… I benchpressed 265 pounds. I know what some of you may be thinking: so what, that’s not much or why are you telling us this. It is significant because in my life benchpress was always something that I believed I would never be good at or achieve any weight that would be seen as socially acceptable for a guy my height. For years I always told people I am not good at bench press, I am not strong in my upper body but strong in my legs or some variation of why I wasn’t good at it. Every time I laid down under that bar, the narrative of “I can’t” blasted through my mind before I ever picked up the bar. I heard the voice of the older players in high school basketball offseason laughing and telling me to “stop playing with kids toys” when they saw the lack of weight I had on the bar. Fear of failure gripped me, fear of the bar dropping on my neck and a gym full of people laughing caused me to give up before I started because I wasn’t good at it. I tell you this because this fear of failure didn’t just affect me on the weight bench but in life. I am growing in this area, I am confronting the things that once paralyzed me. I tell you this because I know many of you are letting “I can’t” dictate what steps you take or don’t take in life. I have found in my instances where I thought I can’t that I actually could. Even in the things that I still realize I can’t, I have a God who can and still does miracles every day. I realize that faith over fear brings with it a more fulfilling life. Does God care that I went from maxing 135 lbs. in high school to 265 lbs. today? No, he doesn’t care about my numbers but he does care when one of his children is believing the lies of Satan which cause them to sit in fear rather than stepping out to be the best and healthiest version of themselves possible. Don’t settle for the lie of I can’t, be a doer and lean on the one who can even when you can’t. I have to admit that this situation with Lamar Odom has affected me in a deep way. 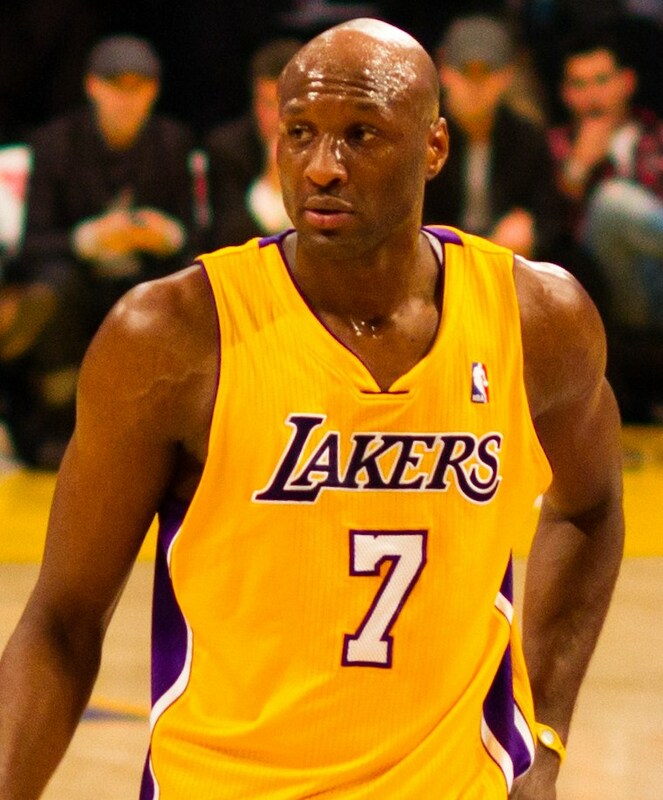 As someone who has never met Lamar and is a fan of the team where Lamar played his worst basketball (Dallas Mavericks), some may not expect me to feel this connection to LO. I also know all the arguments regarding the fact that Lamar did this to himself by his drug use. All that said…my heart hurts. My heart hurts because I see many athletes who lack the support system to find value and fulfillment after their career. Pro athletes are some of the most gifted, talented and engaging people I have ever met. For many of them from the time they are young they are told how incredible they are and given lavish amounts of praise for their skills. They deserve every bit of that praise. As someone who considers himself athletic, I cannot fathom the level of talent, hard work and giftedness it takes to achieve even making it to the professional level of athletics. I will never understand what it is like to achieve that success. It must be hard whether because of age, declining talent, lack of opportunity or injury to see the door of that enormous achievement close. Years ago God began to stir my heart for making a difference in the lives of pro athletes, specifically helping them navigate this transition out of the game. As many know I own a business that specializes in setting up autograph signings with former pro athletes called Halkman Sports. For me my hope is not just to collect autographs for customers but to be a voice of truth and encouragement for guys as they navigate the transition out of sports. I want to be an encourager, so every time I see a situation like Lamar Odom is facing now I hurt. I hurt because in Lamar I see a legion of other guys also struggling with a myriad of issues: regret, alcoholism, lack of direction, drugs, joblessness, relationship struggles, identity issues and in some rare cases homelessness. I hurt because I want to help, I want to be a voice that changes that and I see God opening doors and giving me favor with former athletes but I still struggle to see what difference someone can make who has never been in their shoes. I guess I write this to share this calling publicly. I am called to pastor and to walk along side of pro athletes and help them transition out of the game, but what that looks like on a larger scale I have no clue. Until then, one by one and two by two I will seek to encourage and be a resource to any players God puts in my path. If I can encourage one guy and give them hope, I want to do that. I pray that the number of former players taking their own lives and walking paths of destruction will be replaced with stories of the guys who have made the transition well and are making a difference in their community, job places and the game they loved. There are many guys doing that and those are stories worth telling. I think of so many ballplayers who have struggled through identity after sports and won. That is a game far more important than sports. God, help me to see how I can be an encouragement and difference maker. To cheer on those who are making the transition well and walk with those who hurt and struggle. I am willing. As we approach the induction of the Class of 2015 into the Baseball Hall of Fame tomorrow, I see four players that without a doubt are worthy of this honor. Randy Johnson, Pedro Martinez, John Smoltz and Craig Biggio all received more than the 412 votes needed to enter in the Hall of Fame. You would be hard pressed to find someone with a valid reason why any of these guys should not have been elected to the Hall. That being said I cannot enter this ceremonial weekend of baseball without thinking about those who I truly believe should be in the Hall and have not gotten the support of the voters. Undoubtedly some of these will get in over the next few seasons, but some will never receive this incredible honor. Removing the controversial names, all of whom I think should make the Hall of Fame (Rose, Bonds, Clemens, Sosa, McGwire, Palmiero) below is the list of those who I think were snubbed. Many of these may not have the stats that many voters require when looking at casting their vote, but if I had a vote it would be focused on those who dominated their era of baseball. Those who were consistent all-stars or were the faces of baseball for their decade. I am not a proponent of watering down the great Hall but cannot imagine some of these guys not being in there. It has to be a blessing and a curse to be the little brother of Steph Curry. As someone who struggles with the comparison trap, it must have been easy for Seth Curry to look at the success his brother was having and wonder when it would be his turn. Stephen came out of Division 1 Davidson and was a first round draft pick in 2009 but following a stellar senior season at Duke where Seth averaged 17.5 points a game all thirty NBA teams passed on drafting the younger Curry in 2013. Shortly after the draft started the three season journey for Seth as one of the premier players in the NBA D League. In the 2013-14 season with the Santa Cruz Warriors he was named to the First Team All D-League Rookie Team and All NBA-D League Third Team and was named to the 2014 D League All-Star Team. He repeated his success in the NBA D-League in the 2014-15 season with a new team the Erie Bayhawks. In his second season he improved his scoring average to 23.8 points a game and again made the NBA D-League All-Star team and was given the honor of All NBA D-League First Team. In spite of all his D-League success over those two seasons Seth only found his way into four NBA games, never receiving more than a 10 day contract. Over those four games he scored three points, giving him a lifetime scoring average of .8 points a game in the NBA. With his brother Steph winning the NBA Championship with the Golden State Warriors in the 2014-15 season it seemed that Seth came into the 2015 NBA Summer League with new focus, drive and an improved game. Where Seth had mostly been a spot jump shooter, he had visibly grown in the areas of scoring, floor leadership, passing and improved his defensive abilities. 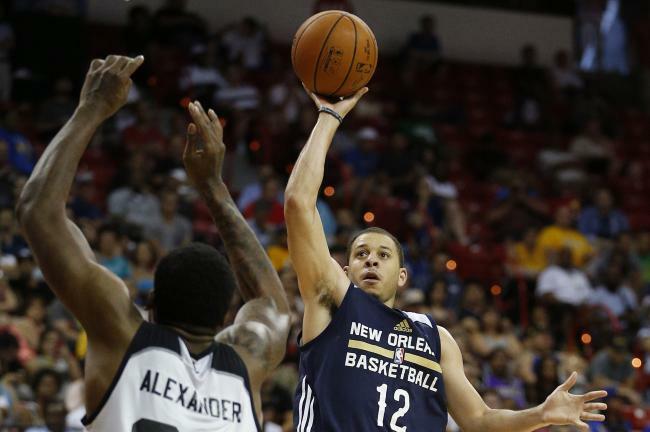 Team officials were a buzz over his performance in the Las Vegas summer league as he averaged 24.3 points 4.3 rebounds, 2.7 assists and 3.2 steals in 33.2 minutes per game over six games for the New Orleans Pelicans. His unconscious performance led to multiple teams seeking to sign him to a contract at the conclusion of the Summer league. The Sacramento Kings were able to ink the scorer to a reported two year and $2 million dollar contract as they stole him out from under the noses of the Pelicans. By all accounts this is Seth’s year. This year he will get the chance no one has ever given him to prove he deserves to be in the NBA for the long haul. All who know Seth feel he deserves this shot. Something in me pulls for him and wants to see him be the player that in the NBA that he has proved to be in the D-League. Mark my words, this is the year that Seth Curry leaves his brother’s shadow and creates his own legacy. Go get them young Curry, show all the teams who passed on you the mistake they made. We are cheering you on. 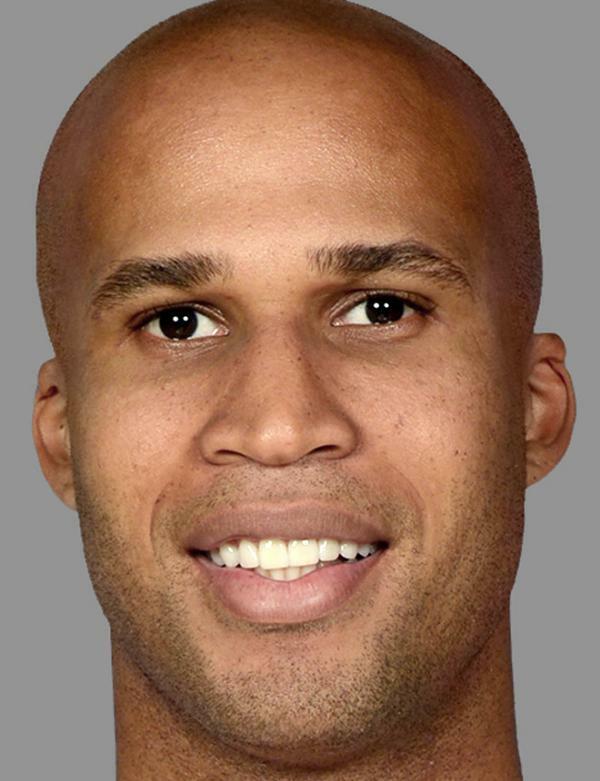 News has broken that Richard Jefferson has chosen to rethink his decision to reprise his bench role with the Dallas Mavericks and chase a ring in Cleveland as a teammate with Lebron James and the Cavaliers. It seems the consensus among fans and media alike that this is not that big of deal. Mark Cuban via Cyberdust said the loss of Jefferson would give more opportunity for 2015 Mavs first round pick Justin Anderson to get on the floor. Anderson has been a huge bright spot for the Mavs in the midst of a lot of bad press over the last few weeks. Justin’s 17.5 points on 43.4 percent shooting from the floor over six games in the summer league already has former critics singing his praises. It seems evident that Anderson could be better than advertised, but even if he is successful is losing Jefferson meaningless? Local sports personality Richie Whitt believes that this is a yawner and that it will not “change the ultimate direction” of the Mavericks. While long term Jefferson was not going to be a long term contributor to the Mavericks, I believe his presence will be missed this season. You can not place a value on a great locker room guy, who brings knowledge, humility to play his role, athleticism and skill off the bench. Not to mention all those things Jefferson led the Mavericks in three point percentage at 42.6%. No matter how successful Justin Anderson is, we cannot expect him to shot that kind of percentage in his rookie year while also trying to get used to the speed of the pro game. I think team chemistry is huge and I worry that losing a guy like Jefferson who is a glue guy, a guy who everyone likes and brings everyone together is a bigger deal than we are making it. He showed the depth of his character by handling his change of mind in a way that was honoring to Mark Cuban and the Mavericks organization. I think losing a guy who has superstar talent although maybe diminished a bit by age who is willing to play a bench role of capable of starting a game as he did eighteen times this past season in Dallas is undervalued. While you may not see the 5.8 points that were lost on the scoreboard each night there are some intangible qualities that left Dallas and just headed to Cleveland. So I will cheer on Justin Anderson with all my might, but still mourn the loss of a guy who could have taught him so much about the game I love. The Astros success has surprised even the greatest of baseball minds this season. Many felt they were two to four years from seriously contending and saw them as a lock to occupy the cellar this season. Today they took another step to solidify their place as a legit contender to not only make the Major League Baseball playoffs but to make a chase for a World Series ring. Although most naysayers and users of the phrases “Last-tros” and ” Disastros” have long been silenced, many still believed that the Astros were one pitcher short of being able to truly contend for a title. Rumors have swirled about possible deals for pitchers such as Tyson Ross, Cole Hamels, and even David Price coming to Houston to fill this need. Today the Astros, who are currently second in the AL West division solidified their roster by adding left-hand Pitcher Scott Kazmir in a trade with the Oakland A’s. The A’s gain two minor leaguers from the Astros in the deal in Daniel Mengden and Jacob Nottingham while the Astros gain a proven starter that has great control, has been tough to hit and goes deep into games. While former Astros like Morgan Ensberg laments the A’s ability to recognize young talent and the loss of two great young man, many in Astros country are ecstatic believing Kazmir is the missing piece to the playoff puzzle. @JayNott @dmengden15 I love these two guys. I wish the @Athletics weren’t so good at identifying talent. You got traded for a Big Leaguer! The three time all-star Kazmir grew up in Houston rooting for the Astros and will join his home team in Kansas City on Friday as they take on the American league leading Royals. Scott played his high school baseball locally at Houston area Cypress Falls where he was drafted by the New York Mets in 2002. Kazmir has called it a dream come true to be able to come home and play for his hometown team. Although it seems adding Kazmir to a premier rotation that already included All-Star lefty Dallas Keuchel, Collin McHugh, Scott Feldman and youngster Lance McCullers Jr. has fulfilled the need that GM Jeffrey Luhnow most wanted, he has not closed the door on making further trades. It will be interesting to see what effect Kazmir will have on this season for the Astros and if they chose to re-sign him for the coming seasons. This is a better time than ever for the Astros to make an all-in run at a World Series ring because they have nothing to lose as no one thought they would be here. Has the puzzle been completed? Is this the year for the Astros to finally win their first World Series? I think there is good reason to believe.